It is shaped as a tasselled flower head and embellished with blue, green and red enamels. 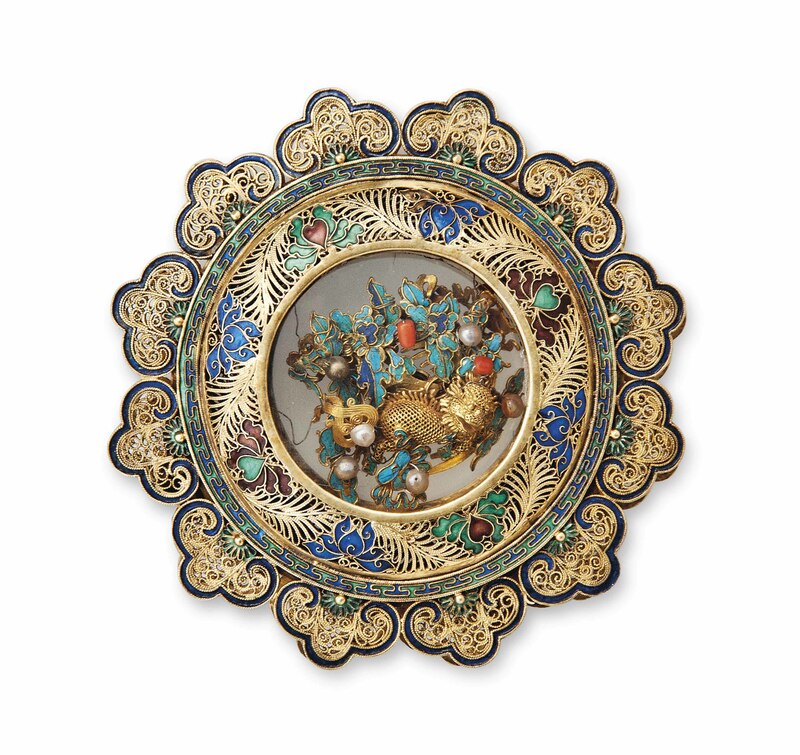 The central circular panel is encased in glass and encloses a dragon and a phoenix similarly worked with kingfisher feather highlights, coral and imitation pearl. 4? in. (10.5 cm ) diam.